The continued growth in the size of farms means farmers and custom applicators have more acres to cover than ever before. To help them cover all that ground—faster, and with fewer stops to refill—sprayers have gotten larger and heavier. 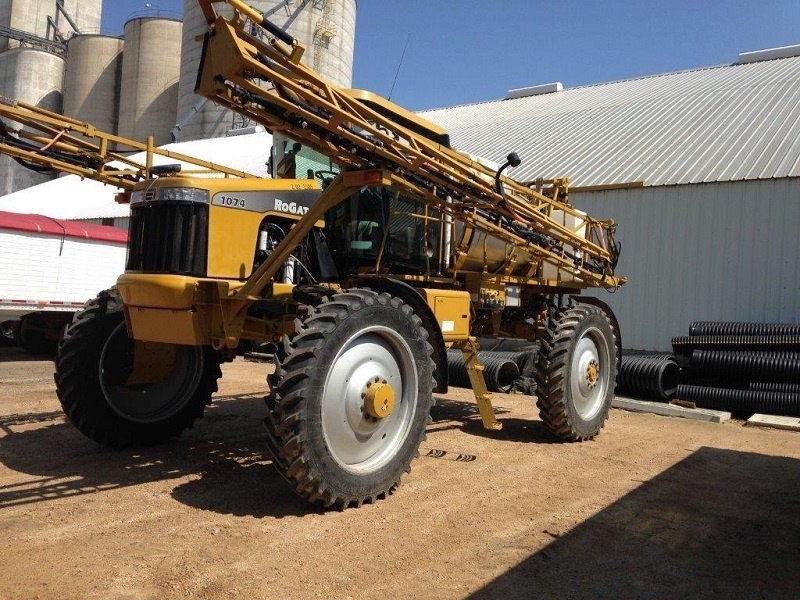 For custom applicators, the use of the largest sprayer available can mean an increase in productivity, allowing them to get to more fields and cut their hourly cost. For farmers, spending less time spraying can mean a timely response to pest or weed pressure, moving on to other chores, or the opportunity to make money with their machine by spraying a neighbor’s field. Whether it’s applying herbicides, insecticides, fungicides, or fertilizers, self-propelled sprayers are a critical component in producing great crops. Equally important is minimizing the impact this gigantic machinery has on the soil and reducing the chances of negatively affecting future yields. This particular challenge has stood out in recent years, as long winters and slow-to-start springs have left small windows for treating fields and forced applications in conditions that can lead to soil compaction. Another reason that large, high-clearance sprayers have become a more common sight in the fields is that innovations in technologies—such as guidance, nozzle design, and boom control—are increasing the return on investment that farmers and custom applicators are seeing from their equipment. Of course, another high-tech change is happening right below their feet, or at least their machine: tires. One such tire is the Alliance Agriflex+ 354 tire in the 420/95R50 size. One of only two sprayer tires on the market in the 420/95R50 size, the Alliance Agriflex+ 354 is engineered to meet the demands of today’s largest high-clearance sprayers with VF (very high flexion) technology to help support the weight of the biggest and heaviest sprayers while reducing soil compaction. With self-propelled sprayers commonly costing over a half-million dollars, it's vital for farmers to get the most out of their machines. Because of this, the VF 420/95R50 Alliance Agriflex+ 354 features steel belts and a special stubble-resistant rubber to prevent punctures and reduce downtime. VF technology also allows the tire to be operated at up to 40% less inflation pressure than a conventional radial, which, when combined with its steel-belted construction, creates a wider footprint that more evenly disperse the weight of the machine to minimize compaction and protect yields. Speaking of weight, VF tires can carry 40% more load at the same inflation pressure as a standard radial tire, and the VF 420/95R50 Agriflex+ 354 tire is capable of managing loads of more than 15,000 pounds per wheel. And, because time is money and application windows can be short, the Agriflex+ 354 is able to travel at speeds up to 40 mph on the highway—letting farmers and customer applicators get to the next field or next job faster. If you want to learn more about Alliance Agriflex+ 354 (VF 420/95R50) for use on your high-clearance sprayer (or about any of our other IF/VF tires), contact your local ATG dealer today.